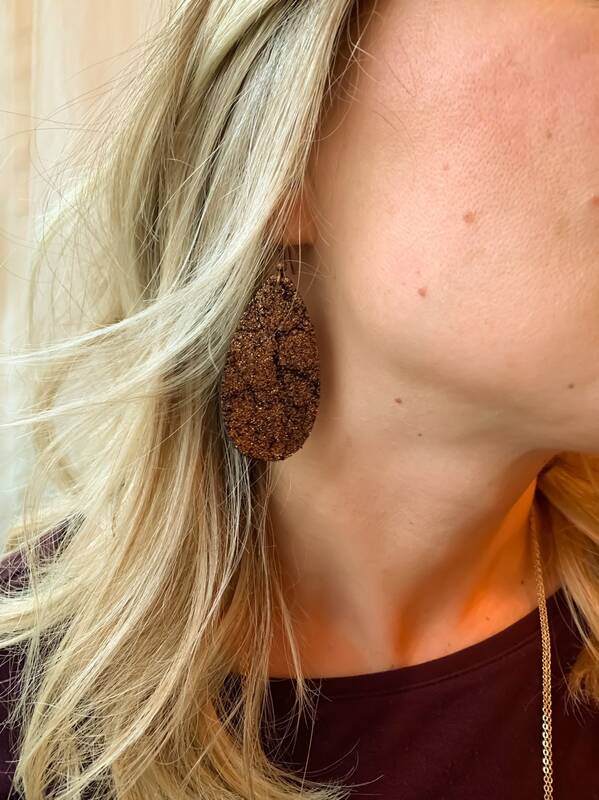 Metallic Leather Drop Earrings- 3 colors available! 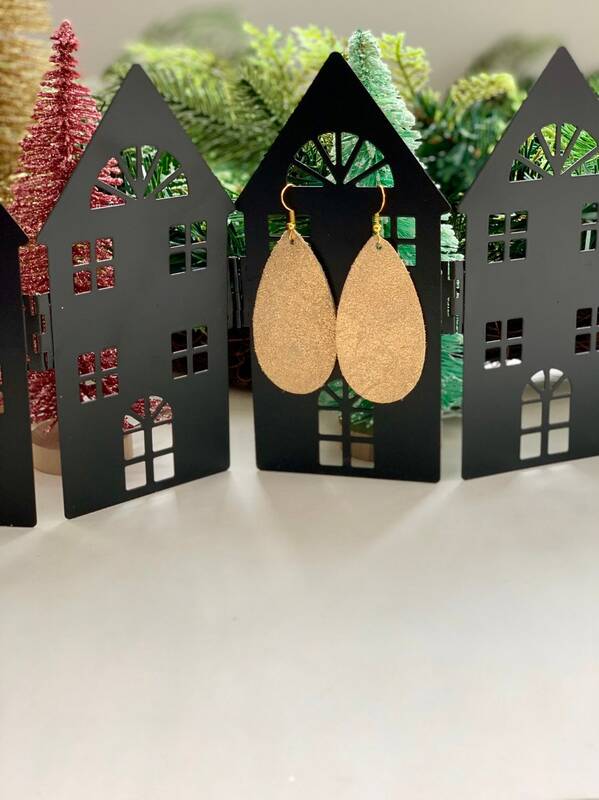 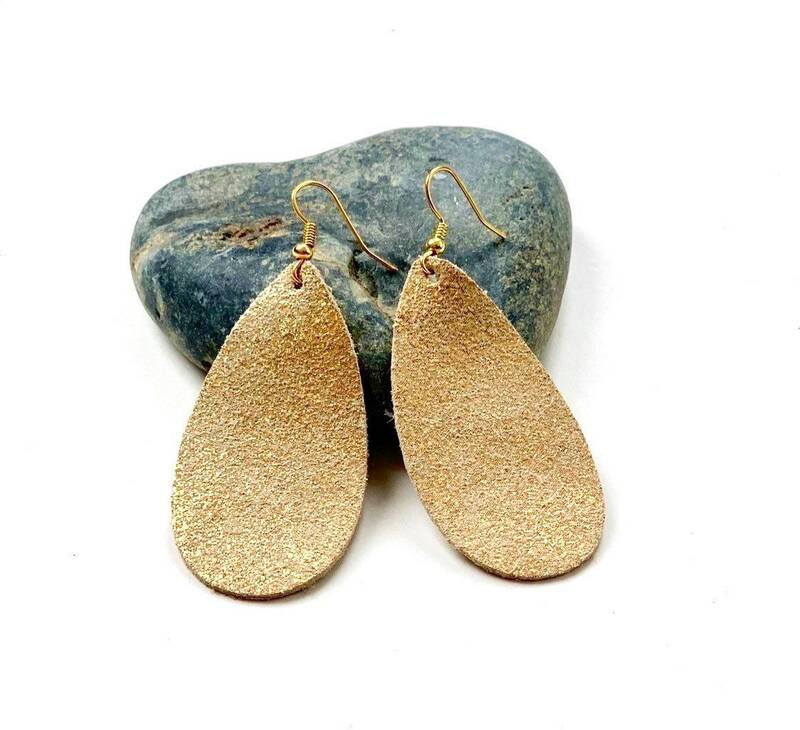 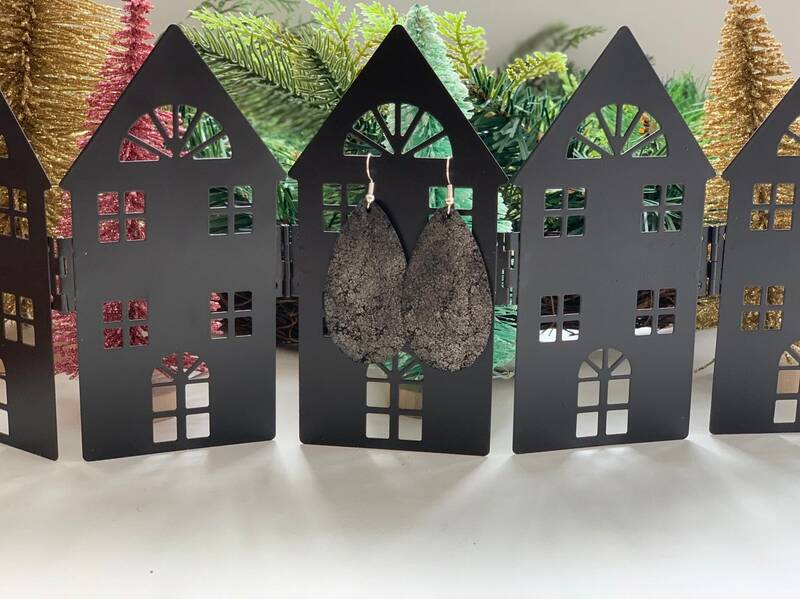 These metallic genuine leather earrings are perfect for a holiday outfit or a sparkly accessory to any outfit! 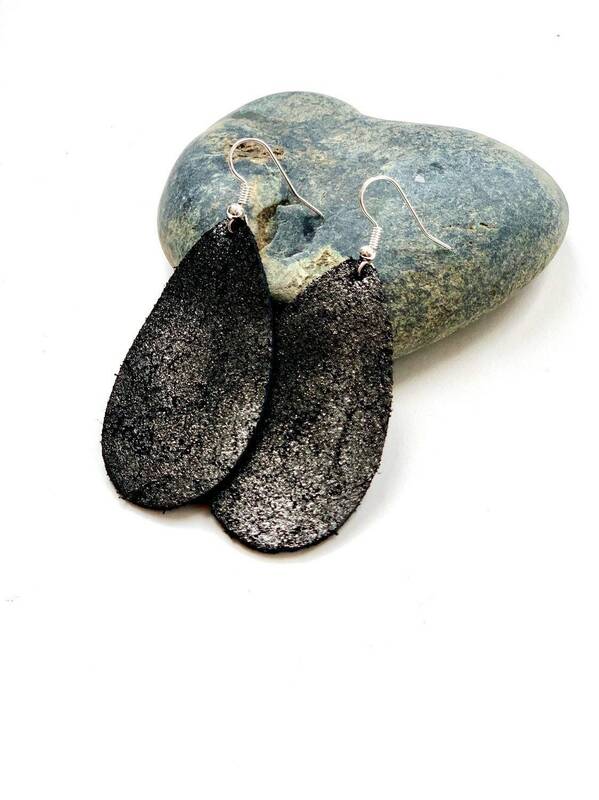 Choose from rose gold on black cowhide, crackle gold on beige cowhide or silver on black cowhide. 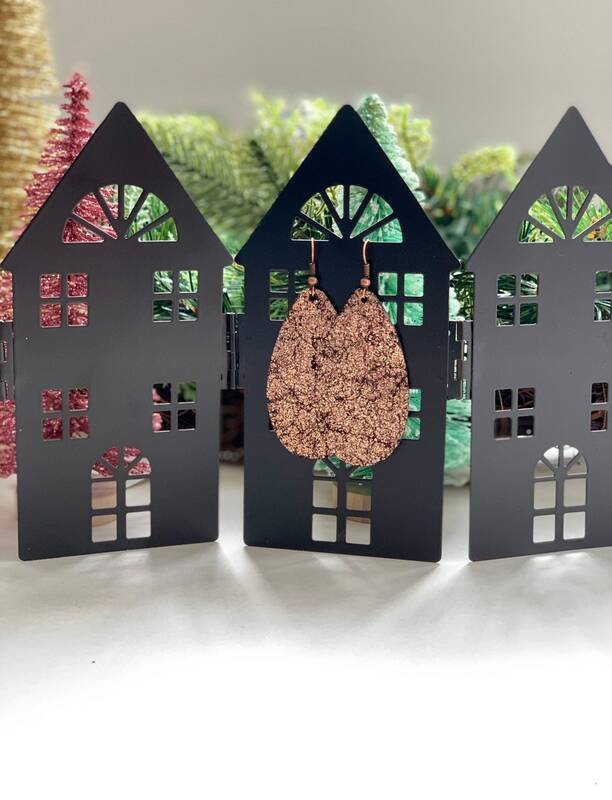 These metallic leathers have a vintage crackle effect that give them character and beauty. 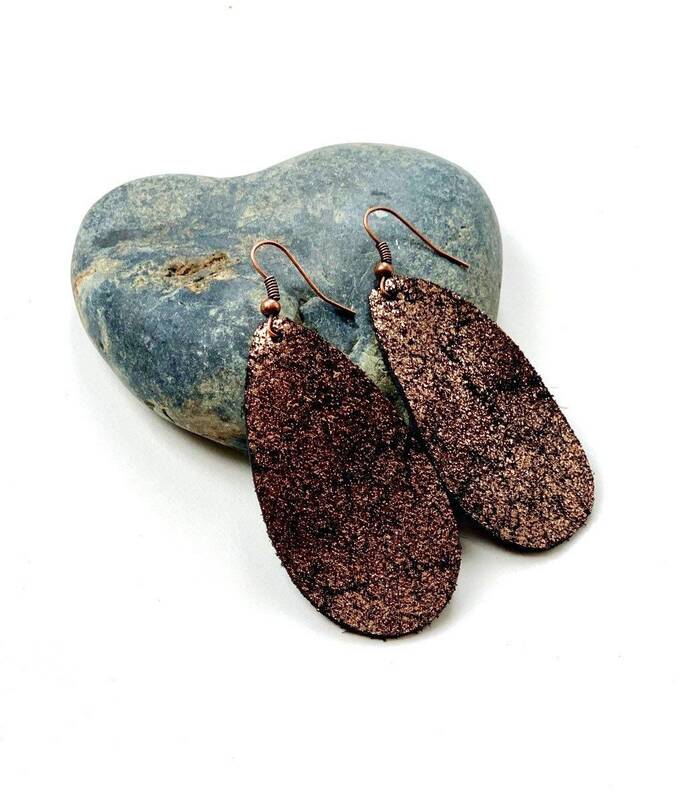 Rose gold earrings finished with a copper/bronze ear wire, gold earrings finished with a gold ear wire and silver earrings leather finished with a silver ear wire.